Actuarial Club at Illinois State University is a part of the the Gamma Iota Sigma (GIS) student insurance organization. A student joins the Actuarial Club by joining Gamma Iota Sigma. Actuarial students must remain members in good standing of Gamma Iota Sigma in order to remain active members of the Actuarial Club. Faculty supervisor: Dr. Ranee Thiagarajah, ASA, e-mail: kthiaga@ilstu.edu, tel. (309)438-7789. Spring 2019 President: Ms. Kristen Marshall. Vice President for Industry Relations: Mr. Scott Damery. Vice President for Social Activities: Mr. Samuel Heil. GIS Liaison: Mr. Eric Reed. Casualty Actuarial Society Student Central Ambassador: Mr. Matthew Kaufman. Officers: Ms. Ellie Cheline, Mr. Justin Garber, and Mr. Levi Triplo. The current schedule of events of the Actuarial Club is posted on the site: http://smartURL.it/ActuarialClubEvents. Membership in the Actuarial Club requires attendance of at lest six events of the Club, and at least two of those must be Gamma Iota Sigma events. Membership in the Actuarial Club is required to receive a scholarship from the Actuarial Program. Actuarial Club Constitution is here. Members of the Actuarial Club who want to run for office in the Club, can submit their candidacy here. Actuarial Club members are eligible for their membership fee in Toastmasters International to be paid by the Katie School of Insurance and Financial Services. Information about the local chapter of Toastmasters is here. 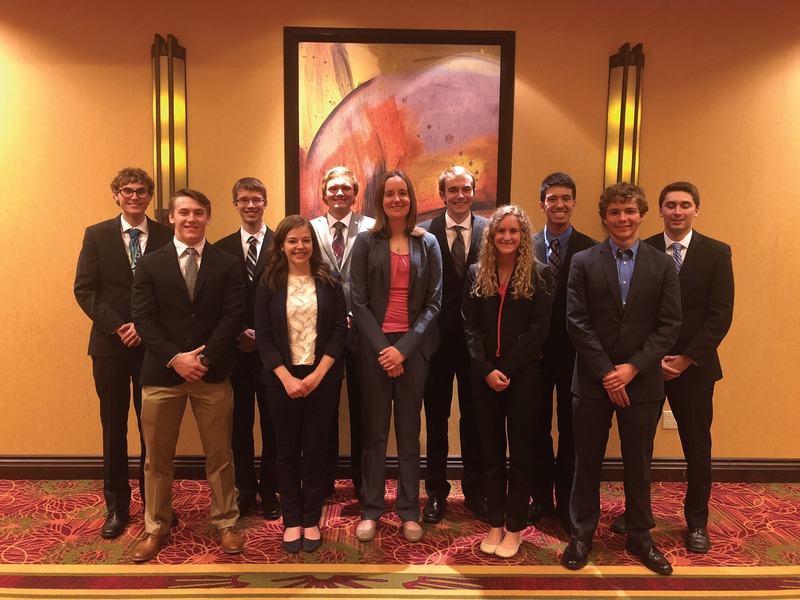 Students at Illinois State University are also encouraged to join the Younger Actuaries Network, which is a part of the Actuary of the Future Section of the Society of Actuaries, as described here: http://www.soa.org/professional-interests/actuary-of-the-future/aof-yan.aspx. Students who want to become members of this organization, should submit the form posted here, and inform Michael Watanabe, or Ashwini Vaidya, of their interest in the Younger Actuaries Network. The cost of this membership is $20 per year, and Illinois State University students who are members of the Actuarial Club and have passed at least one professional actuarial examination will have that fee reimbursed by the Actuarial Program (submit a proof of payment to Actuarial Program Director).